We get it. You’ve got a career, family, and church activities to juggle. Either toddlers are tugging at your shirt, or your boss is making your phone ring nonstop. Your children need to be chauffeured from place to place, and you just don’t have the paid leave to make a great escape. Besides that, you may be the shepherd of the local flock, and they’re depending on you for spiritual nourishment during the week. That’s why Church of God Ministries is pleased to announce that single-session tickets are now available for Church of God Convention 2015. Maybe Monday, June 22 is the only day you can attend. Then you’ll surely be blessed by God’s Word as only Timothy Clarke can preach it. World-renowned contemporary Christian artists Selah will lead you in times of inspirational worship. Perhaps Monday is your travel day, and you simply cannot arrive in Oklahoma City until Tuesday. You will not be disappointed. Longtime Christian music duo Shane & Shane will set the stage for the dynamic preacher and storyteller, Sheila Walsh, to teach from God’s Word. More than a familiar face from the Women of Faith tour, you will note that Sheila’s passion for the reclamation and transformation of lost and struggling souls is only matched by her personal dedication to Jesus Christ and her family. 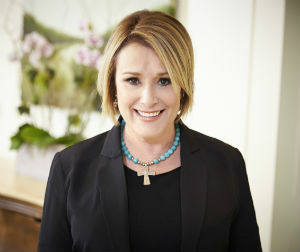 If Wednesday is your one opportunity to make it to Church of God Convention 2015, purchase a single-session ticket for the afternoon session to hear Christian comedienne Anita Renfroe, in addition to a ticket for what is shaping up to be a Wednesday-evening experience like never before. During the evening service on Wednesday, June 24, none other than Sandi Patty and Larnelle Harris will offer special music. Congregational singing will led by the Crossings Venue Band of Crossings Community Church. 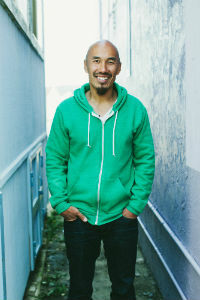 Francis Chan, known for authoring books like Crazy Love and Erasing Hell, will top off the night with practical, insightful biblical teaching. Sometimes in life we’re not offered good choices. But now that single-session tickets are available for Church of God Convention 2015, all four choices represent opportunities to embolden you to reclaim in Jesus’ name what hell may have stolen in your sphere of influence. The choice is clear: if you can’t participate in the entire convention this year, join us for one or more of these individual inspirational gatherings. Visit www.chogconvention.org or www.itickets.com today. Questions? Call Church of God Ministries at 800-848-2464. This entry was posted in All Church of God, Church of God Convention and tagged a la carte, camp meeting, Campmeeting, CHOG, Church of God Convention, individual service, NAC, Oklahoma City, registration, single-session, tickets. Bookmark the permalink.